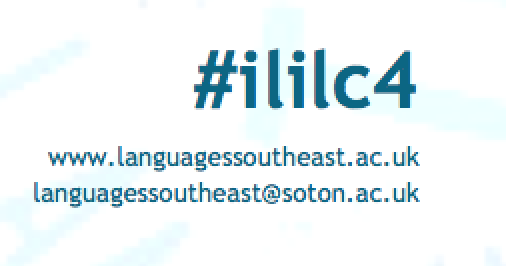 Are you coming to #ililc4? Now in its fourth year, ILILC (ICT Links into Languages Conference) takes place at University of Southampton on Saturday 8th and Sunday 9th February. 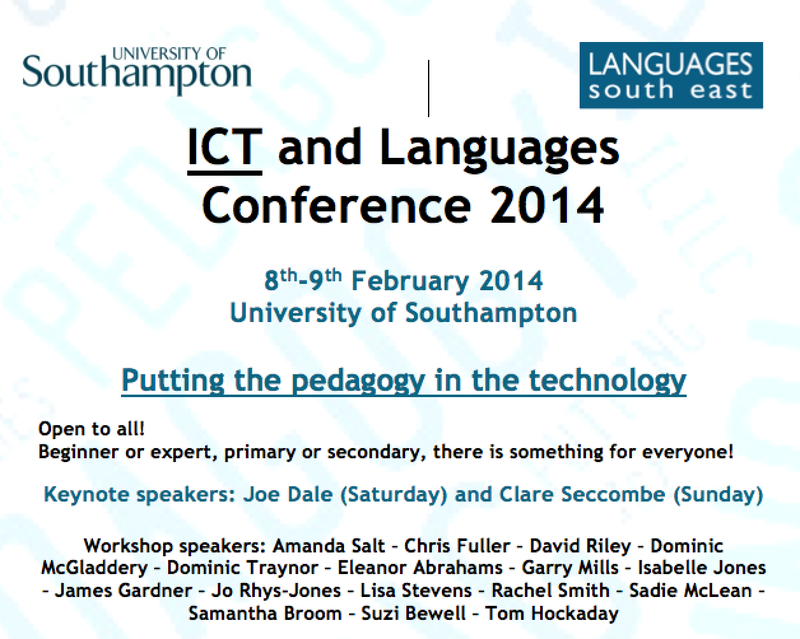 Offering something for language teachers of all ages (and language enthusiasts too!) it is not to be missed. So much so that for the last two years I’ve flown in from Switzerland to attend. 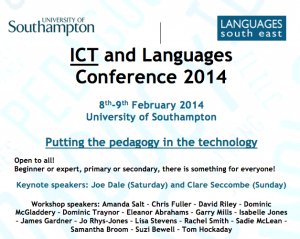 The programme will be on the Languages South East website very soon but I know that people are talking about all sorts of things including SOLO, flipped learning, mini books, mobile learning, apps, Flubaroo, Triptico and much much more! As you may have noticed from the above, I shall be speaking. Can I encourage you, if you possibly can, to join us in Southampton for what is always a brilliant conference at which I learn tons, have a shedload of fun and make new friends that support me throughout the year. There’s also a Show and Tell on the Saturday night at which people can share their ideas, activities, games and songs in an informal manner so if you’re local and can’t make it for the whole conference, pop along! 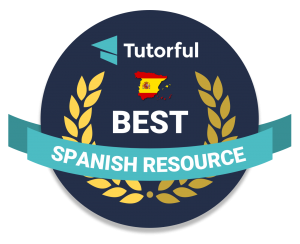 Sign up on the wikispace!